Purchase two baskets* of the same model: One in each color. 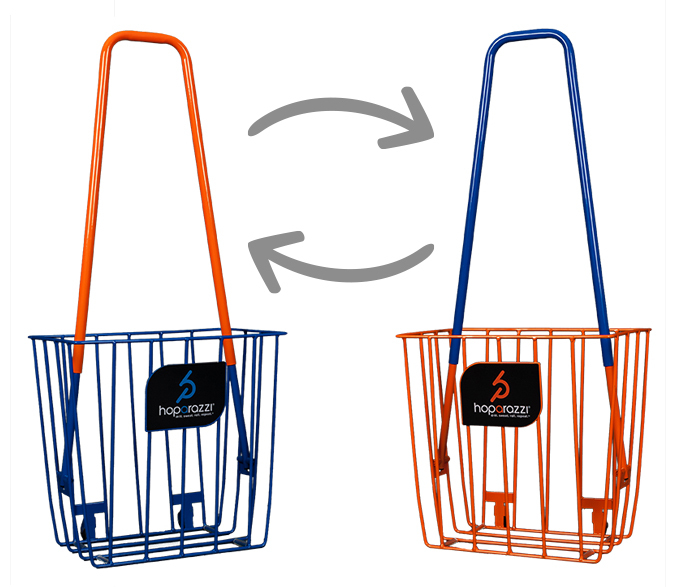 For example, if your team colors are Navy Blue and Orange, purchase a Navy Blue basket and an Orange Basket. When your shipment arrives, simply insert the handles to mix and match your basket colors. For example, the Navy Blue handle would insert in the Orange basket, and the Orange handle would slide into the Navy Blue basket. Please note that baskets must be ordered in multiples of two per model.